The School of Biblical Teaching (SBT) was founded in 1993 to help train current and future leaders in these emerging churches. This network of churches and organisations has helped hundreds of church planters and leaders to study, apply and teach God’s Word. It has given them simple and effective tools to enable them to teach clearly and with impact from a Bible passage, within the framework of the Bible’s story as a whole. 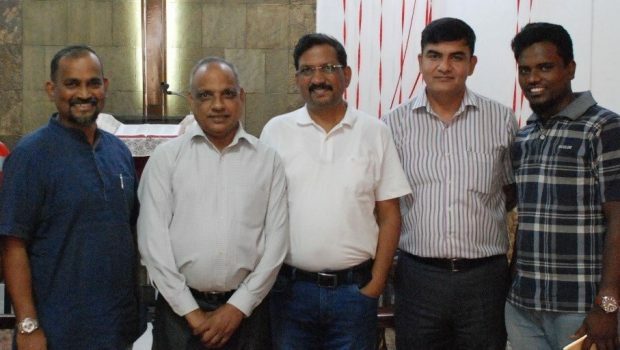 South Asian Concern has played a key role in SBT, with Raju Abraham and Robin Thomson as part of the original team of resource people, now led by Rev Devender Verma, a senior pastor of Delhi Bible Fellowship. Twelve local church leaders who had been part of SBT were selected. They continued to serve in their church, working closely with a mentor who monitored their progress in personal character, ministry skills and study. They also attended regular ‘intensive’ sessions, three times a year, led by Indian and international resource people. Students appreciated the servant attitude of the teachers, all the more when they realised how much ministry experience and training the teachers had received. Thus ETC built on the experience in SBT and students continued to help in the SBT workshops. Twelve new students joined each year. Of course, there were struggles. “My trouble was hitting the books. I have not studied any for a very long time,” said Joel. Ranjeet Joseph’s challenge came when he had to leave his church for a week, with nobody to take care of it. The first group of 12 completed the Ezra Theology Course in November 2017. They will continue teaching and training in their own churches and also serve as mentors for the next batch of ETC students. If you would like to donate to the School of Biblical Teaching please click here.